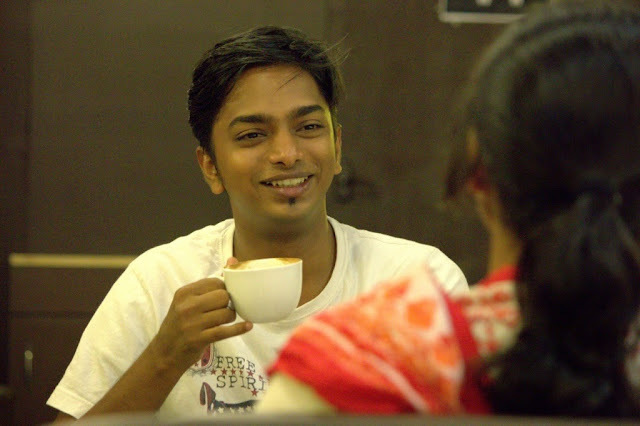 'The Koffee Addikt' is a series of coffee shop reviews. 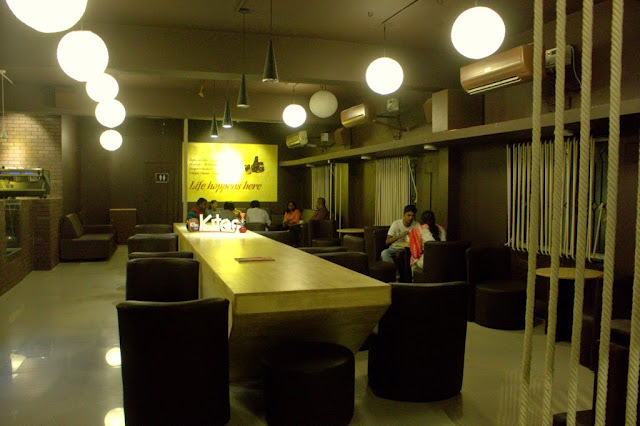 In this third post, The Pen covers 'Kites Cafe', Coimbatore. For the love of coffee, Read on!! About: Kites Cafe is a startup by four friends who studied together at Mani's School, Coimbatore. Kites has quickly become a favourite hangout, because of its classy food, tasty coffee and splendid service. Beverage: Caramel Latte. Its a regular Latte with caramel added to it. (A shot of espresso, steamed milk, caramel syrup topped with a little whipped cream). She said, "Buddy, If you are gonna review coffee-shops in Coimbatore, you gotta start at Kites Cafe." "Will you show me the place!" "Why Not, Challoo! ", she said! As we walked in to the warmly lit cafe, Bryan Adams played softly in the background and I felt at-home instantly. We picked up a corner seat and let Bryan Adams sink in. Sandy asked Ashwin what his personal favourite was and he said Caramel Latte. She immediately ordered - "Two Caramel Lattes, please". I'm no fan of flavoured coffee, but this Caramel Latte tasted heavenly. It was just the perfect blend of buttery caramel, cream and coffee. We ordered a Kites Chicken Sandwich to accompany the coffee. I promise upon my coffee that the tasty marinated chicken pieces in their sandwich would drive anyone to ecstasy. Verdict: If you are a Coimbatorean, you gotta check this place out... For the love of coffee and for the love of friendship.